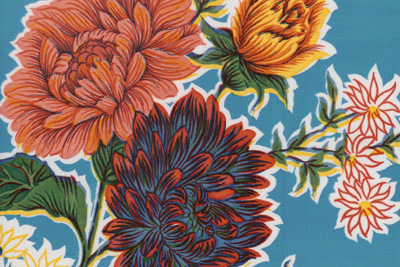 This print is floral but not tropical. The mums are grouped together in bunches with different sized blooms. The Oilcloth is 47" wide.